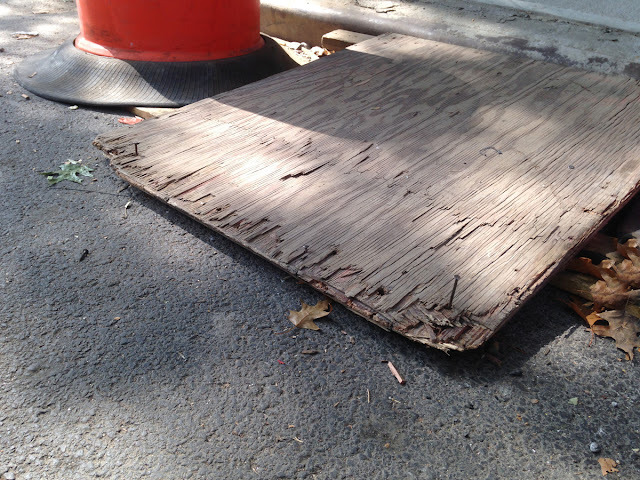 You might think the ramp is dangerous because it isn't fixed to the ground, or because it's splintering, and could give someone a splinter, but no — it's because there are nails sticking out of it! Nails sticking out of it. At very least, they could make you trip! 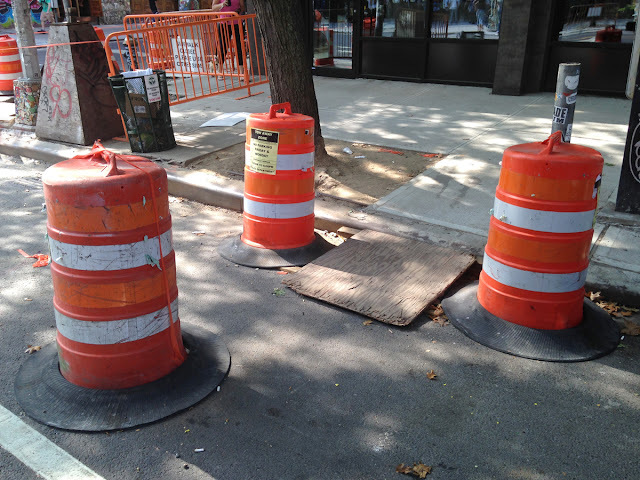 those are supposed to be nailed down, so the ramp stays in place. now where is my hammer? I know! How did they get shaken loose? !